For the last 3 years, the Foundation for Sarcoidosis Research (FSR) has held a series of “Walks” across the USA during Sarcoidosis Awareness Month (April) w here family and friends show support for patients and help raise awareness and desperately needed funding for research on this rare disease. I’d like to thank everyone that came out to walk on this beautiful sunny day at the Herrick Lake Forest Preserve in Warrenville, IL. We had 5 patients and many family members and friends participate and Dunkin’ Donuts donated enough donuts to make sure we had the energy to make it around the 1 mile and 2.5 mile treks. Unfortunately, due to the nature of this disease, 7 of our fellow patients were not well enough to participate. 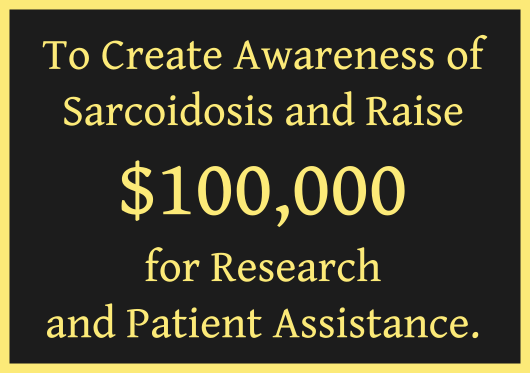 The good news is that we raised almost $1,000 from donations that will go directly to the Foundation for Sarcoidosis Research (FSR) and all are much appreciated. We even handed out some complimentary copies of my new book, “Getting Better.” It’s a story filled with both healing and humor about my experiences as a perpetual patient. 100% of the proceeds from the sale of this book go to FSR for research and patient assistance. If you would like make a donation FSR, order a copy of Getting Better for yourself or someone you know, click here. Thanks again to everyone or participated, donated and sent their prayers and well wishes.